Antonio Perilli was born in 1953 in the municipality of Cermignano (TE) . And ' degree in Architecture and later earned his bachelor's degree in painting at the Academy of Fine Arts of Brera, with full marks and honors. He currently teaches Technologies and techniques of graphic representation and Art History at the State Institute of Higher Education " Leonardo da Vinci" Cologno Monzese (MI) . 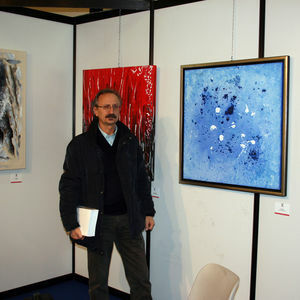 Art has always been his passion, devoting himself to the study and in-depth theoretical and artistic activity , which began as a boy, participating with his work in art exhibitions and continually experimenting with new techniques, new materials, new forms of expression.